Arizona wine tasting was the name of the game at Down By The River B and B where the Wine Challenge at The River was held. The non-conventional Arizona wine tasting test was hoping to demonstrate that Arizona Wine could hold its own against other wines from outside of Arizona. Angie and I were convinced from our Arizona wine tasting ventures that the grapes grown and used for wine in Arizona were just as good if not better than other wines we have had. To find out we decided to have a blind taste test with our guests. 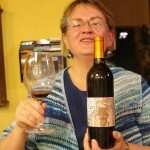 Angie and I provided the Arizona wines that were chosen at the Willcox Wine Festival. 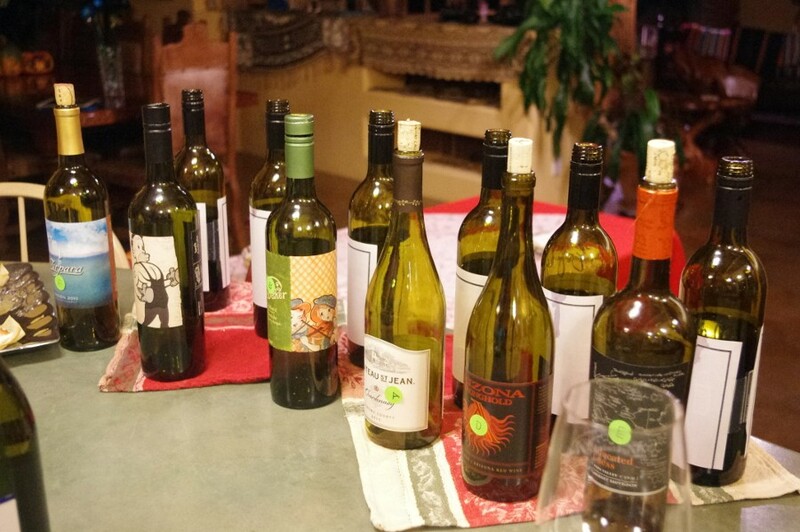 From this Arizona Wine tasting we chose two wines that we rated the best. We also have our favorites from the Sonoita area and we did a comparison of those with the two that we had chosen from Willcox. Unlike official taste tests, we decided to allow the guest to bring any wine that they thought would be something that would be liked by all the other guests. The blind tasting guests turned their bottle over to Mike when they arrived. Mike transferred the wine to another bottle so that no one would visually know which wine they brought. The wine bottles were left opened and allowed to breathe for over 1 hour after the transfer to the new bottles. The bottles were labeled randomly for the tasting. We had expected 3 rooms to be at the Challenge but one room had to cancel at the last minute. So instead of 8 different samples to have during the test we had 6. 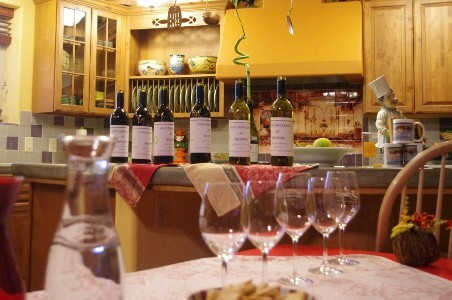 We had each guest rate the wines from 1 to 9 for nose, finish and overall drinkability. The scores would be averaged and the highest rated wine would win. We had two California wines, two from South Australia and two from Arizona. The wines were all good with the food pairings that we had during the tasting. The labels of the wines submitted to the Wine Challenge at The River. Alex Miller won the prize wine from Gallifant Cellars. We actually picked the Nacise as the wine to beat when we picked the wines at the Willcox Wine Festival although we felt that Origen was a close second. Since the winner was Origen, which was our wine pick, we awarded the prize to Alex Miller who brought the Molly Dooker. 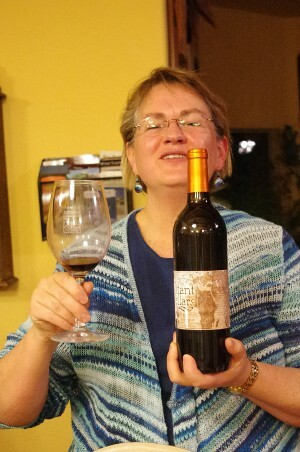 The prize was a bottle 2009 Gallifant Cabernet Sauvignon. The other guests also received free wine tastings that were contributed to us by Coronado Winery, Zarpara Winery and Pillsbury Winery. As I said this was just a fun time and not a scientific or professional tasting. 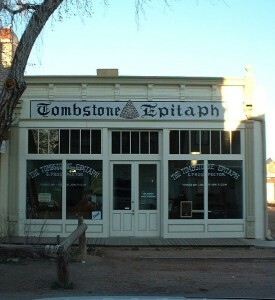 We also regret that we couldn’t pick a wine from all the wineries in Arizona but could only choose two. 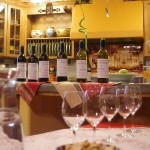 We do want to thank everyone that helped us choose a wine for our Arizona Wine Tasting event. Many of the vintners gave us advice on what they thought would be the best one to choose. We wish to thank Terry and Jacque with Coronado, Mark and Rhona with Zarpara and Bonnie Lee and Sam from Pillsbury for the tasting passes. We want to thank the winemakers and owners of Carlson Creek, Charron, Coronado, Dos Cabezas, Flying Leap, Golden Rule, Keeling Schaefer, Kief Joshua, Lightning Ridge, Lawrence Dunham, Page Springs, Pillsbury, Sand Reckoner, Wilhelm and especially Arizona Stronghold and Zarpara for guiding us with wine recommendations. We also want to give a special thanks to Irlyn and Gavin Gallifant with Gallifant Cellars for the prize wine that was used in The Challenge at The River. Angie and I look forward to doing The Wine Challenge again in the future. Go to our Facebook page (and then LIKE us) because we place the information about events there a couple of weeks before it goes up on our website. This entry was posted 5 years ago on Thursday, November 7th, 2013. and is filed under Events and Things To Do.